Follow the trail of those who found love in Bologna on a 2.5-hour private tour. The city is known for its love stories, and there’s few better ways to learn about them than from your very own guide. 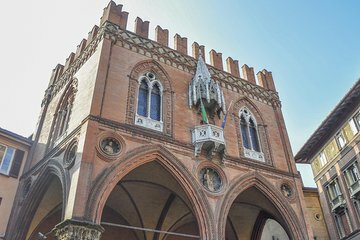 Discover the Bologna that poets like Shelley and Goethe wrote about, and check out romantic sights such as the Basilica di San Petronio, the Crypt of Saint Vitale and more. We booked this tour in Bologna and thought it might be interesting. It would have to be our favourite Viator tour we have done yet and Camille our tour guide was very well informed, funny and made Bologna come alive with wonderful tales of love, betrayal, mystery and romance. We would recommend this tour highly.